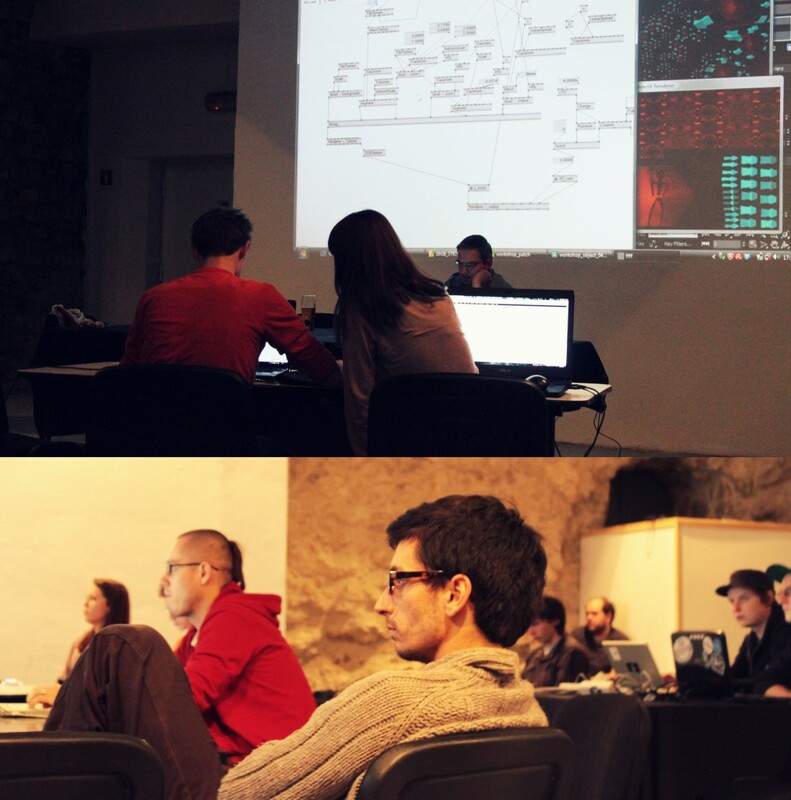 >Workshops are on 10th Nov (Saturday) from 4 to 7 pm at Bunkier Sztuki (pl. Szczepańskim 3A). Free entry for all workshops. Processing is a free and open source sketchbook for artists that uses simple, elegant code to realize ideas. We’ll look at how to get started, and some powerful techniques for high-performance manipulation of images, high-def video, and textures. No previous experience required. Beginners welcome; existing users should pick up some new tricks. with generative software (vvvv based) but it’s also interesting for other software cases. It’s about UVW mapping, patching, and using audio-reactive generative stuff for the final 3D mapping output. Software: vvvv 45beta27.2, 3DS Max 2010 (english), software or Laptop is not needed for the workshop. Pd is a free real-time graphical programming environment for audio, video, and graphical processing. It is the third major branch of the family of patcher programming languages known as Max. 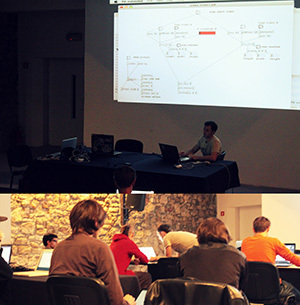 During the workshops you will get familiar with basics of Pd creating e a simple video mixer. 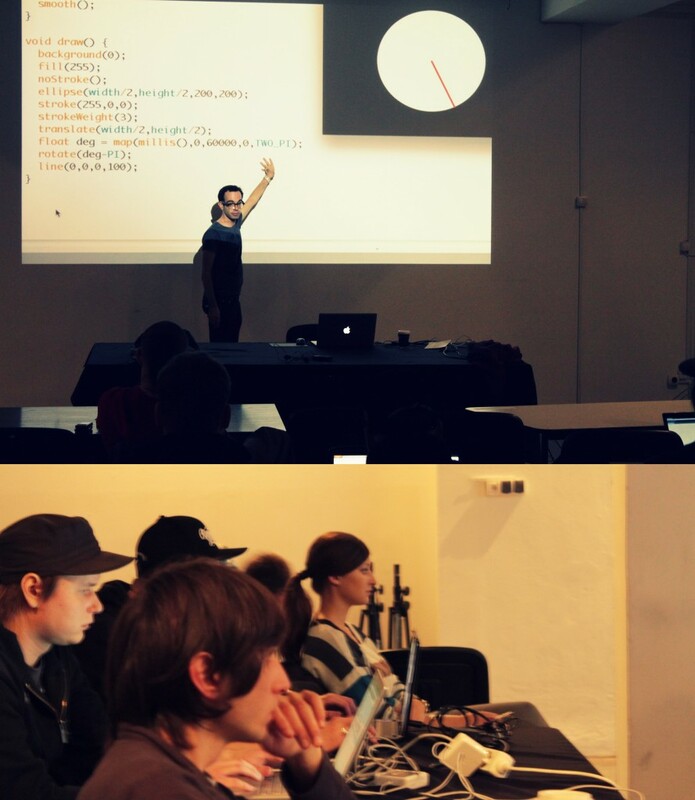 To register to chosen workshops send email to kontakt@patchlab.pl with a name and type of workshop in the title.